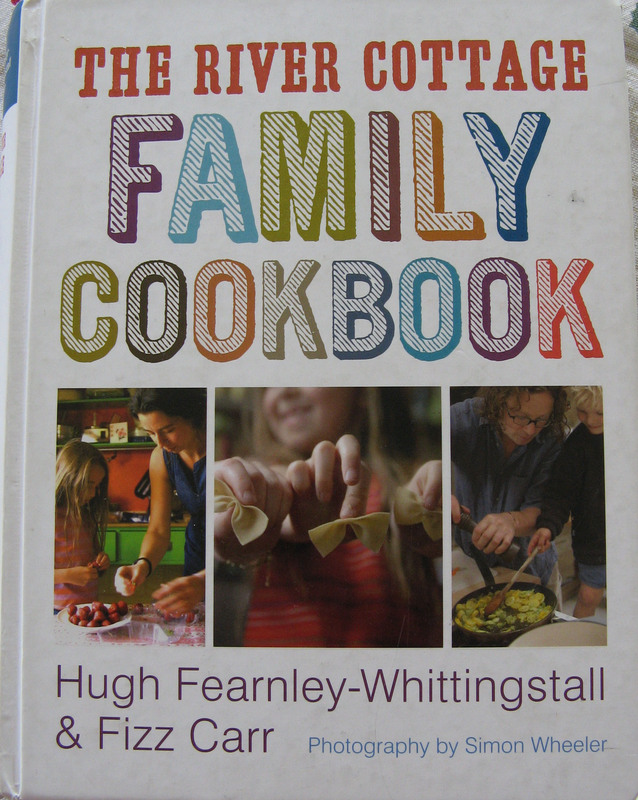 For those of you looking for a nice cookbook to give to a budding young cook in your family, let me suggest The River Cottage Family Cookbook by Hugh Fearnley-Whittingstall and Fizz Carr. What I love about this book is that it doesn't attempt to water down cooking. 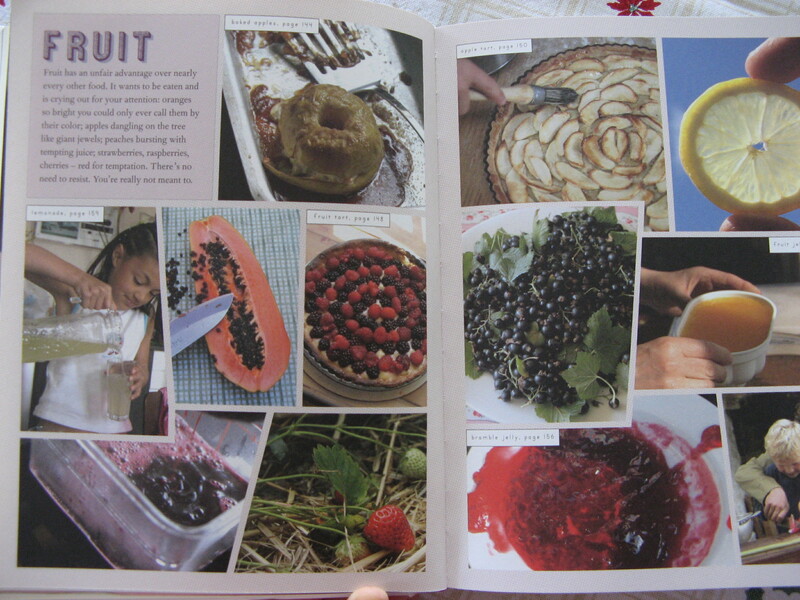 It takes real recipes and real concepts and begins to teach children the very basics of cooking in a very inspiring way. I was so excited about the book when I first saw it that I ordered a copy for my then 8-year-old daughter and we immediately began reading and cooking from it. Take a look at the contents: Flour, Milk, Eggs, Fruit, Vegetables, Fish & Shellfish, Meat, The Cupboard, Sugar & Honey, and Chocolate. Each chapter begins with an introduction, giving helpful information about the topic and how to use it. This is followed by numerous recipes. For instance, the chapter on Eggs talks about what an egg really is, how to crack and separate an egg, what does an egg white do and how to fold it into something, how to know an egg is fresh (it will sink in a bowl of water), and what kinds of eggs to use. 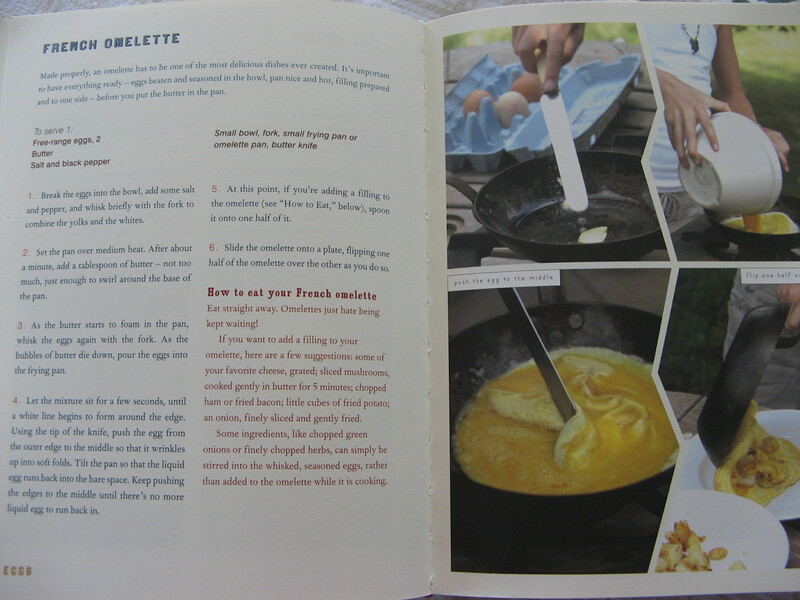 Now, have a look at the recipes included in the egg chapter: Custard, Pancakes, Soft-boiled eggs, Omelette, Eggy Bread (French Toast), Meringues, Sponge Cake, and Drop Scones. Each chapter is filled with beautiful, inspiring photos and easy-to-read type. And while this book hails from the UK, it has been translated into American English and cooking terms to make things easy! 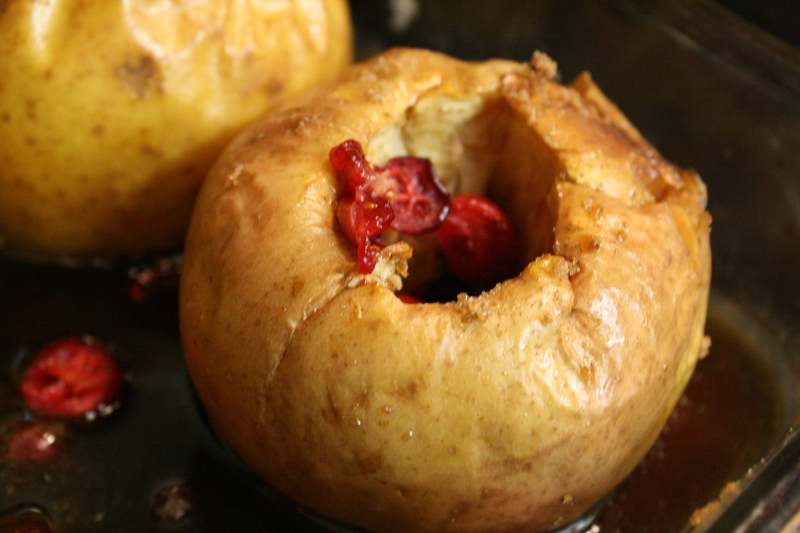 Rachel and I decided to make the Baked Apples from the Fruit chapter. This is a simple recipe for a child to help make and the result is a delicious, comforting food on a cold winter night. Preheat the oven to 350F. Smear a little butter over the inside of a baking dish. With a sharp knife, carefully cut a line completely around the waist of each apple to give it a sort of thin belt. This stops the apple from exploding as the flesh foams and expands in the heat of the oven. Remove core and seeds of each apple. Cut a small slice off te bottom of the apple so it will sit in the baking dish without rocking from side to side. Stand the apples in the dish slightly apart from each other, so they don't join up and get stuck together while they cook. Pour sugar into the well of each apple right up to the top. (At this point we stuck a few dried cranberries in with the sugar -- raisins are good too!). Dot a generous knob of butter on top of the sugar. Spoon a tablespoon of water for each apple into the base of the dish. Place the dish in the oven and bake for about 30 minutes (other varieties of apples may take longer). The apples should be puffy and the skin a little split. Stick a sharp knife into the flesh of the apple at the thickest part near the core. If the flesh feels hard, let the apples cook for 5 minutes longer. Turn the oven down a little if they are getting too brown. Serve everyone an apple and a good spoonful of the delicious syrupy sauce poured over the top. 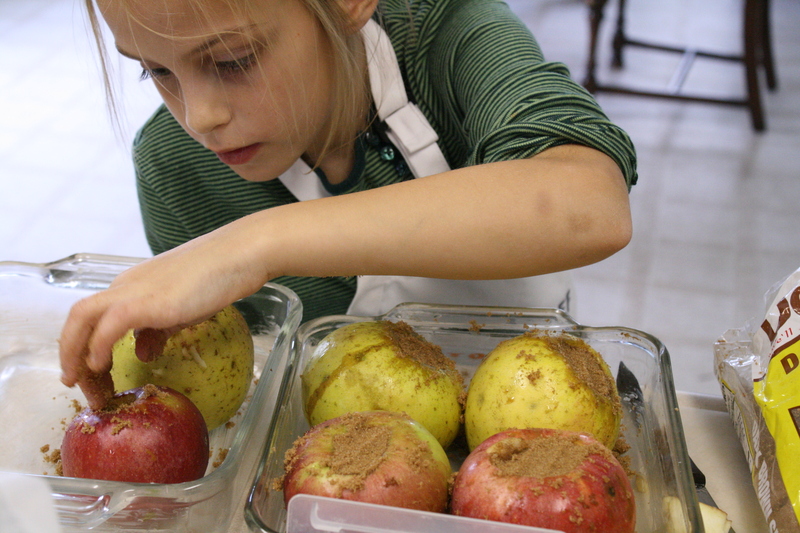 Some people adore the skin of a baked apple; others prefer to push it to one side. But whatever you do, eat with plenty of cream, Greek yogurt, or English custard. I bought this for Stephanie as a gift last year after seeing great reviews of it online. I've learn several good stuff here. Certainly value bookmarking for revisiting. I surprise how so much attempt you put to create such a magnificent informative web site.